Two days is all that remains for one of the longest waits in modern TV history (well, maybe I’m exaggerating a bit there, but it sure did seem like awhile). Game of Thrones, the reigning best drama winner at this year’s Emmy’s, returns for its sixth season entering uncharted territory: the source material is about out and the producers are venturing almost entirely on their own to tell the story. Here’s a look at the key questions to consider as the new season premieres Sunday. 1. Will Jon Snow stay dead? That image of Jon Snow laying lifeless, blood pouring into the snow is the one that sticks with most fans when recalling Season Five (well other than King Whitewalker raising his hands as if to say “what now” as Jon Snow and the survivors at Hardhomme sailed away). But rumors have been rampant that Jon Snow might return. And the trailers that have come out in the last month make clear a major fight is going to take place over the Lord Commander’s body. 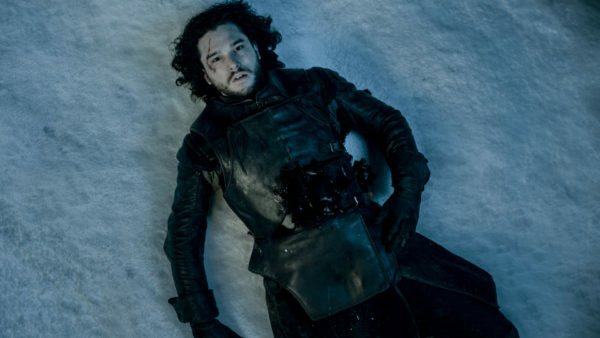 Will Jon Snow be resurrected? My guess is we will get an answer fairly quickly into season. Will Jon Snow return from the dead in the early episodes of season six? 2. What characters are returning for season six? Bran and company are definitely back (Hodor!!!!). We also know from footage and photos released by HBO that Walder Frey (how has this guy stayed out of the limelight since the Red Wedding) and Balon Greyjoy (the lord of the Iron Islands) will be back for the first time since season 3. But with the Riverlands returning to the narrative, I suspect many more characters who’ve been missing for awhile will return. How about the remaining Tullys: Edmure “I had my wedding night while my family was being slaughtered” Tully or Brendan “Never will I take a more convenient piss” Tully? Is Gendry ever going to get off that boat? And what about Rickon, whose been hiding with the Umber’s in the north? We’ll see if these or any other (there are rumors, but I won’t share them here for the sake of avoiding spoilers),, forgotten characters return at some point this season. Walder Frey is back. But who else will be reappearing in Season Six? 3. Whose Fighting the Bolton’s in the North? With Stannis defeated at the end of Season Five, the Bolton’s appear supreme in the North. But Ramsey’s northern bride has fled and the trailers featured several shots of battle involving Bolton shields. What forces will be coming together to challenge the Bolton’s this season? 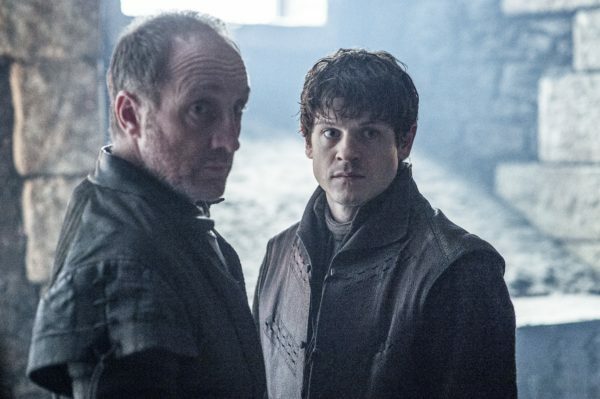 Roose and Ramsey Bolton have no shortage of enemies. Which of those enemies are coming for the North in Season Six? 4. How will Cersei fight back? No one other than Jon Snow had a rougher Season Five than Cersei. But the HBO previews have made very clear that Cersei is not backing down from the High Sparrow, who ran roughshod over her in Season Five. Will she pay back the High Sparrow for all the pain he caused her last season? 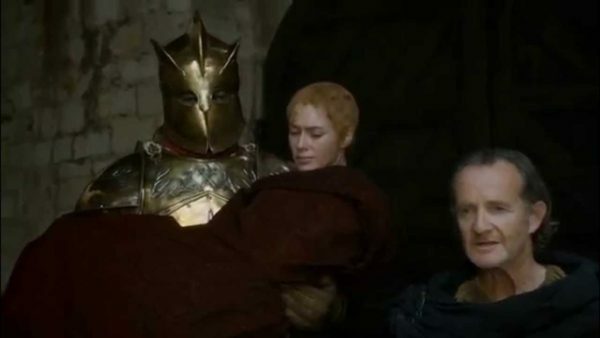 And what role will Robert the Strong (the Mountain resurrected by Qyburn) play in her plan? Robert the Strong making his first appearance in the season five finale. 5. How will new characters fit into the narrative? HBO has yet to officially release any of the new characters that will be appearing in Season Six. But leaks have confirmed that Euron Greyjoy (known as the “Crows Eye,” Balon’s brother) and Randall Tarly (father of the year candidate for his parenting of Sam) are among the highlights of the new characters involved this season. But last year’s Dorne disaster has me very concerned with how bringing these characters in so late in the game will translate, especially Euron. Will the show be able to give these characters proper development and then thrust them into a story that is speeding towards its conclusion? 6. What part will the dragons play in Season Six? Daenarys escaped last year, flying on the back of Drogon, only to be left out in the desert and captured by a Dothraki hoard. Will Drogon come to her aid? And what about the other two dragons chained up in Meereen? In the last trailer, Tyrion seemed ready to use the dragons to his advantage. But how exactly does he plan on doing that? Tyrion will introduce himself to Dany’s dragons in Season Six. 7. How close will season six get us to the end? Recent reports have the producers of Game of Thrones ending it after 13 episodes, splitting those 13 over two seasons. So if only 13 episodes are left after this season (we’ll see if they stick to that), that means season six has to get us pretty close to that grand conclusion, doesn’t it? The journey to answer these questions and more begins in two days. And every Monday, I’ll have a recap of each week’s episode. See you then.